Last year at CES, Acer announced their Predator 21X gaming laptop. It attracted a lot of eyeballs for being an overpowered $9,000 laptop that money can buy. Now this year, the company is back at CES with a desktop gaming rig. 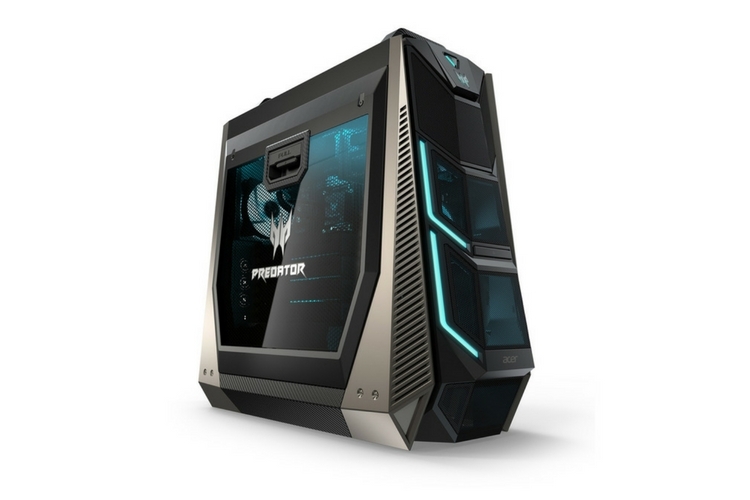 Meet Predator Orion 9000, Acer’s new gaming desktop that’s made to woo even the professional gamers out there. In case you don’t know, Acer unveiled its Acer Predator Orion 9000 gaming series platform at the IFA 2017 last year, and these rigs are meant for professional gamers. Now, these gaming towers are set to make a splash in the U.S. and the company has left no stones unturned. The Predator Orion 9000 is a tailor-made rig uses a combination of liquid cooling and a partitioned airflow system to drive some seriously high-end component. By high-end components, we mean an 18-core Intel Core i9 CPU, dual GTX 1080ti on SLI and 128GB of RAM. Yes, it packs some serious specs. If you feel like carrying the case with you, which is not recommended given its size, it also comes with handles on top and wheels at the bottom. Also, the tool-free massive removable glass window on the side is a nice addition as it allows you to swap the parts quickly. Connectivity options include two USB 3.1 Gen 2 ports, eight USB 3.1 Gen 1 ports, and two USB 2.0 ports, but it is worth noting that the array is slightly confusing. 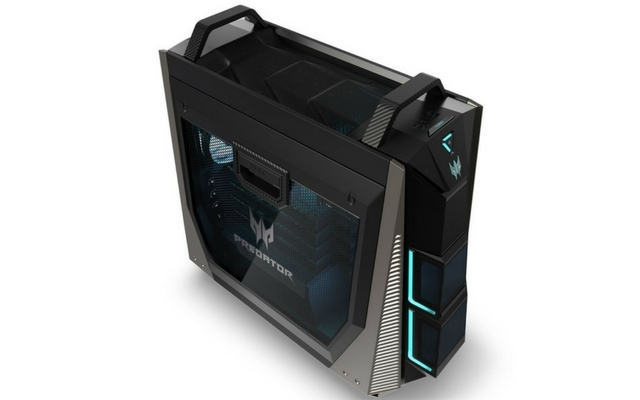 According to the company, the Orion 9000 gaming desktop will start shipping in February, and the price starts at $1,900. That said, the price is expected to be much higher if you’re eyeing the fully decked out configuration. In other news, Acer has also upgraded it’s Nitro 5 gaming laptop with just enough power to run moderately demanding titles. It packs a Ryzen mobile processor and Radeon RX560 video, and you also get upto 32GB of RAM. Stay connected with us for all the other exciting CES launches.